LUCKNOW: Slammed for not doing enough during the dengue outbreak, the Uttar Pradesh government has set up a task force in each district to pre-empt swine flu outbreaks, an official said. Medical, Health and Family Welfare department Principal Secretary Arun Kumar Sinha said that the task force was set up under district magistrates for the prevention and control of the H1N1 virus. Division and district-level officers were included in the task force that would initiate effective steps for prevention of the virus. Mr Sinha stated that with the onset of winter, the chances of the disease spreading increase. “A rapid response team was formed in each district, comprising of a public health expert, an epidemiologist, a clinician and a pathologist and microbiologist. “An isolation ward of 10 beds was also set up in all district hospitals,” he said. 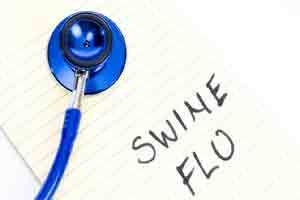 Mr Sinha said that officers and staff members would be trained to investigate and treat swine flu patients. For the treatment necessary medicines would be kept at all district hospitals and full logistic support would be extended. Besides, medical teams would also be deputed at international airports in the state, including the ones in Lucknow and Varanasi, and at the Indo-Nepal border to screen people entering the state. The official pointed out that attendants of patients would be administered Tamiflu (oseltamivir) as a precautionary measure. The blood sample of suspected patients would be forwarded to the Integrated Disease Surveillance Project’s UP arm, for conducting pathology tests.